I can still remember the voice mail I received from my father 36 years ago. He was terminally ill at the time and I remember thinking that I wanted to keep that audio message forever. I’m not sure what happened, but I don’t have that voice mail today. I would do anything to hear that particular message again. I knew at the time that would be one of his last messages to me. There have been countless times that I would have wanted to save certain voicemails. The only way I knew how to do that was to tape the voice mail message on a separate machine. That was fine for the time, but I can’t find the cassettes I used. I really needed something more formal and secure. Enter Voicemails Forever. The safekeeping process includes one hour of voicemail recording time for just $19.99. You can access your private account anytime by simply dialing in. 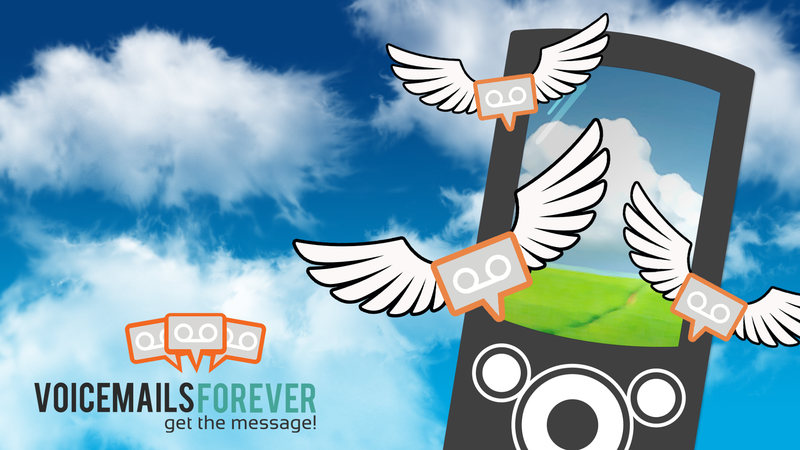 Voicemails Forever protects and stores messages as MP3 files on a secure site. They also can be saved to your computer, tablet, or mobile device for repeated playing. This entry was posted in digital, senior lifestyle, tech and tagged voicemails forever by loiswhitman. Bookmark the permalink.